No more beige or light gray office spaces. According to color experts, the color you choose for your office greatly affects your productivity and even your behavior. Here are some of the colors to choose from if you're planning to give your office a makeover before the year ends. 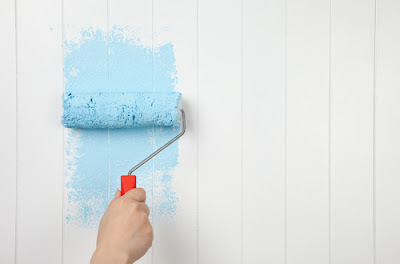 It has been said that blue is considered to be the most productive color that you could use in painting your office, especially if you want to stimulate the mind and increase your productivity. Likewise, if you're in a corporate job that requires so much motivation in order to get the job done, this color would truly inspire you to finish your tasks ahead of time. Thus, if you're one of those people who engage in mind-work all day, better paint your office blue. Also, you could spice it up a bit by adding a bit of orange. Aside from balancing the color, it would also add a bit of emotion. Yellow is a color that could stimulate the ego and spirit, while making the person optimistic. In order to be creative and come up with something new, it takes a lot of guts, and yellow would give the energy and strength a person needs. Likewise, it could positively affect the emotions, bright the mood, and give the person a sense of confidence. That's why yellow would work well in an office, especially if you're an artist type or designer. Red is a color that's linked to physical energy and attention to detail. Also, it's considered to be the color that's more productive than either yellow or blue because it could stimulate the body. So, for those whose profession requires them to move a lot or multitask, red is a good way to keep energized, active, and alert. Also, red works well for offices that specialize in manual labor, because it promotes physical strength and it serves as a stimulus. For those who are in an environment that requires a strong sense of balance, green would be the color to make a person productive. It's a color that's balanced, calming, and reassuring. Furthermore, it's great to utilize around anywhere that's related to investment. However, green could also be stagnant and inert. With that, this color is not really recommended for those who needs to move a lot and be physically active all day. An office can turn into a sanctuary where you could even meditate and relax. Using some pink on this area would have a positive effect on yourself. It could lessen the stress you normally get from work. In fact, some sports team usually paints their locker rooms pink, because it helps the players relax and feel rejuvenated. Thus, it'll be ideal for an office setting as well. White color is a very popular choice because it's neutral, light, and it could match with almost anything. Also, white areas appear to be more spacious, reflect more light, and usually give people a positive feeling. Thus, white and other light colors are perfect for production areas, hallways, and small rooms. Not just that, white is also a symbol of sterility and cleanliness. That's also the reason why it's usually used in various medical offices and hospitals. Orange is often linked with improved lung function and it could also increase the energy of a person. Using it in your office would give positive results, especially for those who get sick very often. In order to determine which color to paint in your office, it's essential to narrow down which main color would work best for you. Try to decide whether you want the color to have an effect on your emotions, mind, body, or balance. Then, pick a specific shade of that color. Keep in mind that the intensity of the color could either stimulate or soothe you. Highly-saturated colors could stimulate, while lowly saturated colors are often used for relaxation. Lastly, it's important to pick a color that would have a positive impact on you.